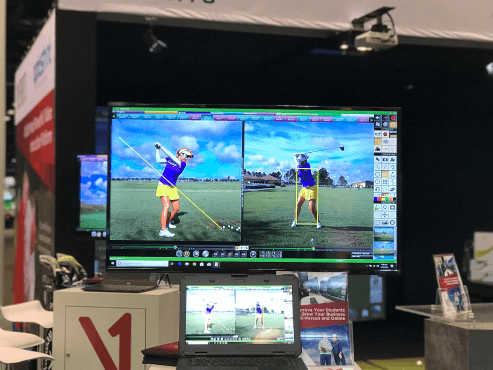 The 2019 PGA Merchandise Show marked 20 years since the introduction of the original V1 Professional video analysis software, which changed the industry forever and kicked off the era of modern golf instruction. At this year’s show, V1 Sports honored this special anniversary with our biggest presence ever. To celebrate two decades, we decided to create a truly immersive experience with full-swing demonstrations at our booth for the first time. 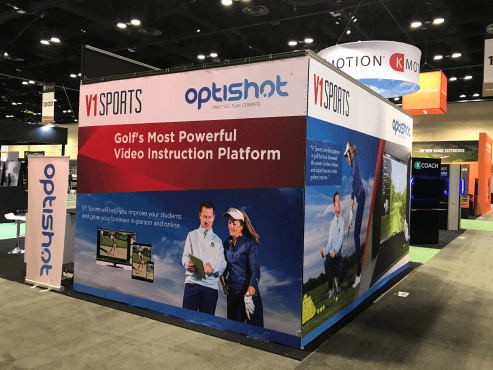 We partnered with the world’s number one golf simulator, Optishot® Golf, to build a massive 17’x12’ hitting bay, retrofitted with V1 Pro HD swing analysis software and high-frame-rate HD cameras to capture down-the-line and face-on video of attendee’s golf swings. Throughout the 3-day show, hundreds of golf instructors experienced the full power of the Video Instruction Platform. 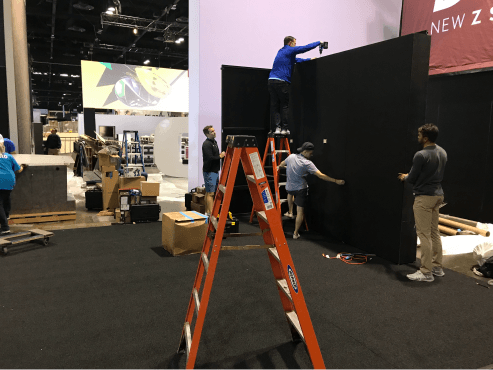 Not only did we celebrate our 20th year with our biggest display on the Show floor ever, we also took this year as an opportunity to give thanks to our dedicated V1 Pros. We brought in a professional film crew to create a studio where our Pros could record high quality instruction content that they could use in their lesson and to promote their business. This was a completely free benefit that we provided for our loyal instructors. For more great tips, ideas, and stories visit the V1 Sports Blog.